vverevvolf’s fun, fierce “Sugar & Spice” is a bold and energetic expression of self-assurance, imperfection, and vulnerability. It’s brash and totally different than anything we’ve released before. Is there anything spookier than confronting ourselves and our own human fragility? 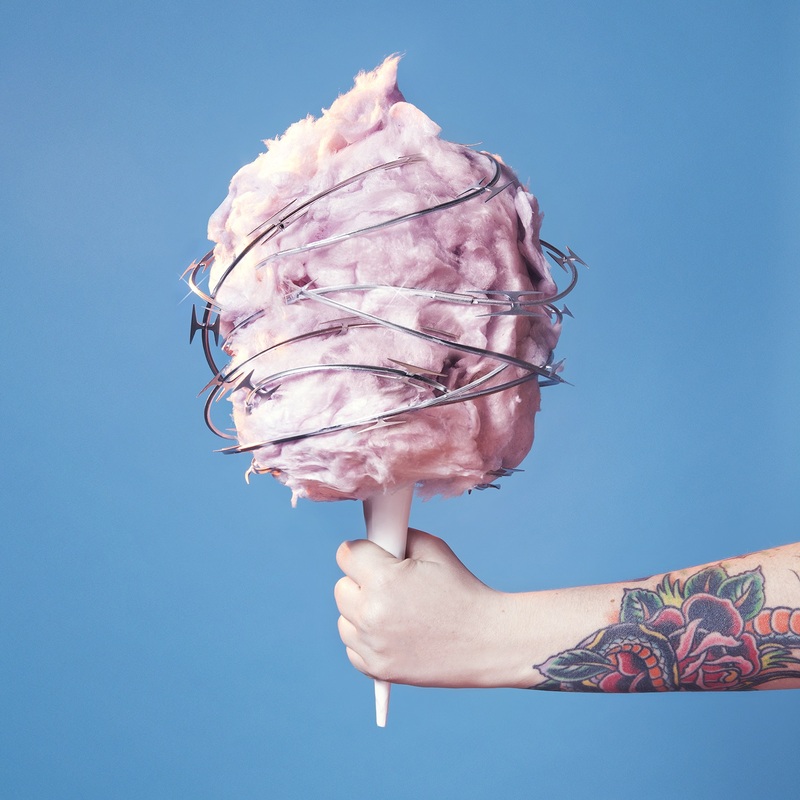 This Halloween, badass alt-pop duo vverevvolf are treating us to a scarily catchy surprise with “Sugar & Spice,” a bold and energetic expression of self-assurance, imperfection, and vulnerability. Atwood Magazine is proud to be premiering the audio and music video for vverevvolf’s new single “Sugar & Spice,” independently out everywhere this Friday, November 2, 2018. 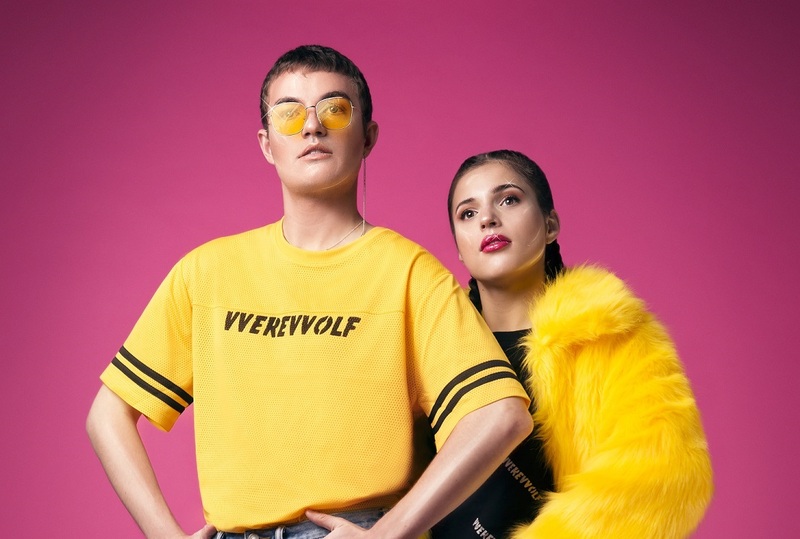 Their first single following the release of debut EP Electric Blue in February, “Sugar & Spice” introduces a new side of vverevvolf (pronounced “werewolf”) to the world: A fun and fierce persona with a provocative attitude. Don’t think of it as a transition; think of it as an addition – a pre-existing part of their identity waiting for the right time and place. “Cruel Games” is about being drawn toward some special, invisible force – an entity more powerful than ourselves; something we can believe in. We feel the pull of the wild in vverevvolf’s words as we watch it unfold on-screen, and just like that their desires go from utter fantasy to within the realm of possibility. Thus, while this debut comes from a dark place, it exists as a reminder that we can make our dreams come true. Can you take the SUGAR AND SPICE? Through a fog of thick guitar riffs and pumping drum beats, vverevvolf sing from the perspective of needing someone in one’s life, while also being cognizant to one’s own imperfections and other qualities that might detract from their overall appeal or allure. 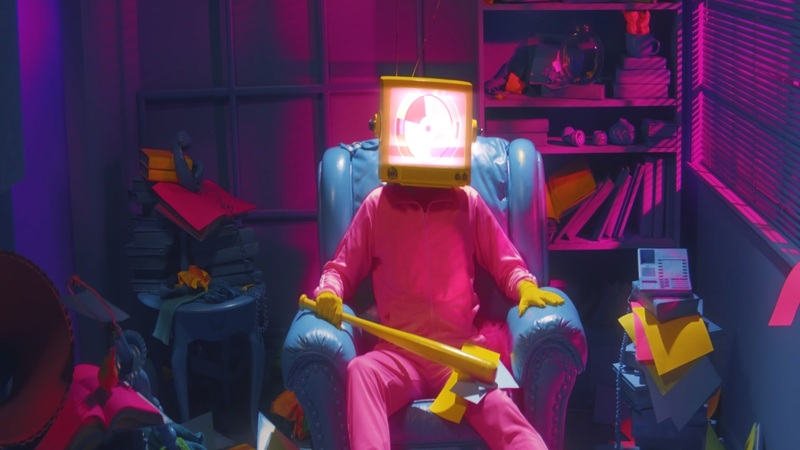 This is very well demonstrated in vverevvolf’s Raùl Gonzo-directed music video, starring one very insecure humanoid in a bright pink jumpsuit with a television for a head. “Sugar & Spice” is a hot mess of a song – a caricature of some of our worst impulses sealed with a passionate fury. Stream vverevvolf’s new music exclusively on Atwood Magazine, and a happy Halloween from our family to yours.